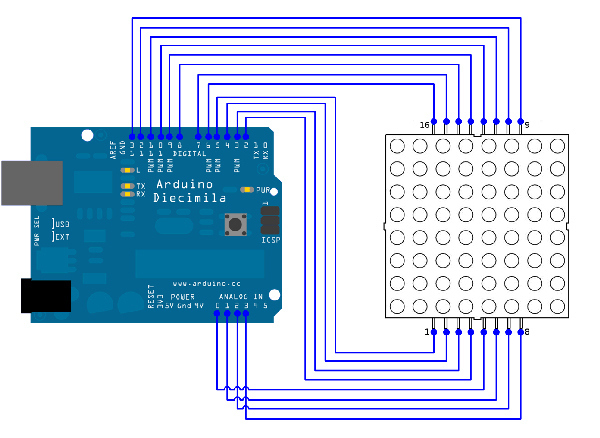 With this tutorial you learn how to connect and display the word “Hello” to Led Matrix 8×8. Below is the wiring that you need only for the red color. I have no source code that will carry my text and display, please help me through. Where can I find the whole alphabet of the letter arrays?